The first attempt of La Biennale di Venezia 2017 in marketization has attracted a lot of attention from the whole artistic circle. Does it indicate that the academic event compromises to commerce, or the academic circle expects to develop emerging markets and communicate and dialogue with the mature markets? As the largest and most influential commercialized art exhibition in China, Guangzhou International Art Fair is expecting her 22nd birthday. 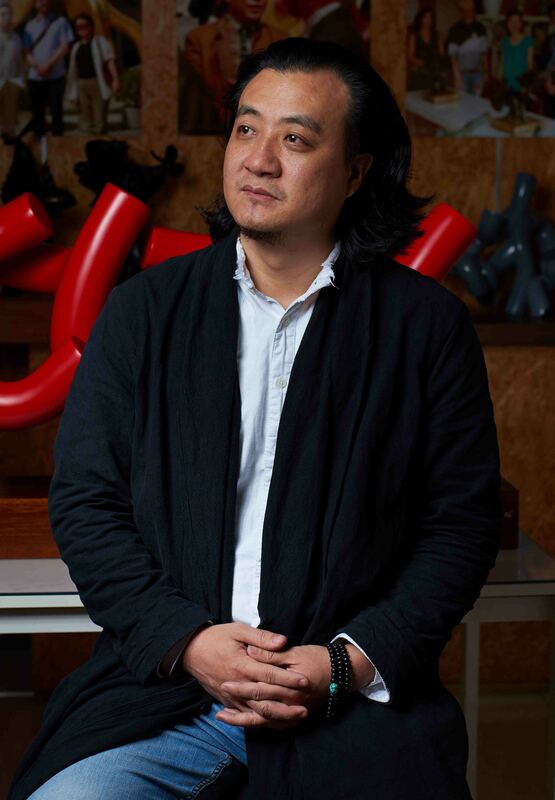 How will Peng Wenbin, a curator of the event, view the relationship between academy and market? With related questions, we have an interview with Peng Wenbin. Q1: An authoritative academic event, La Biennale di Venezia has begun to explore the relationship between academy and market. What does it indicate? A: Previously, La Biennale di Venezia and Kassel Documenta were absolutely academic representatives. 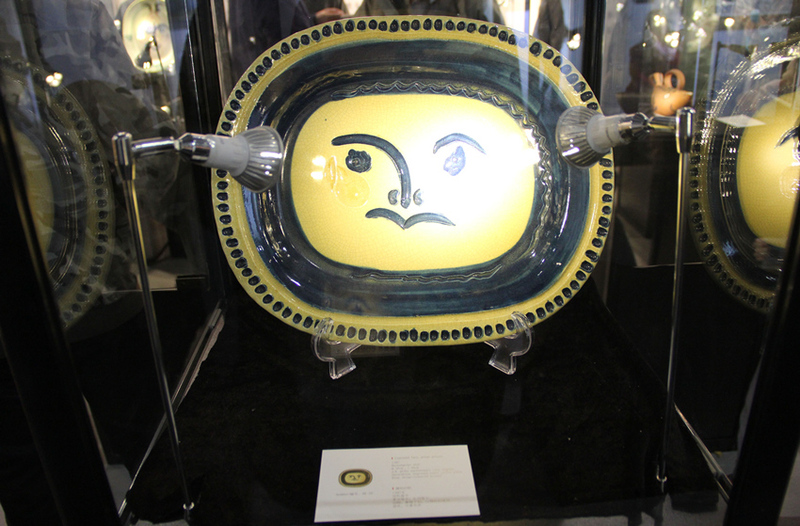 These exhibitions are organized out of academic purposes and works exhibited are not sold. 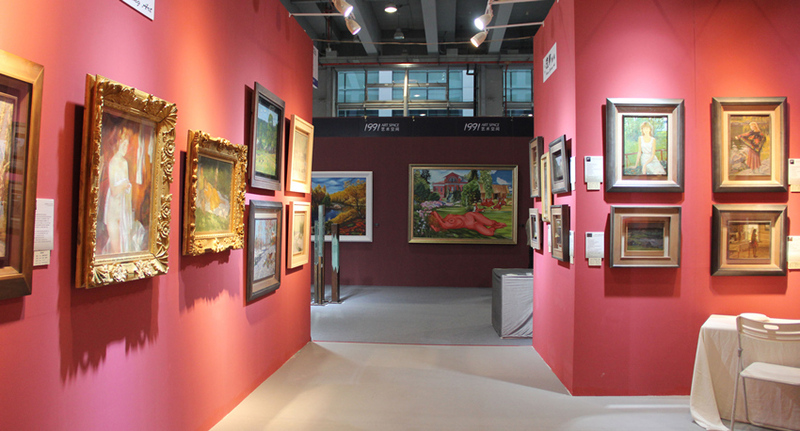 Guangzhou International Art Fair is organized to package, recommend and sell artworks and hunt for buyers. This is the substantial difference between the former two exhibitions and Guangzhou International Art Fair. The just concluded La Biennale di Venezia also embarked upon an exploration of the commercialization path of arts. When it happened, it indicates that the era in which arts made stars had passed. The key lies in satisfying the living conditions of most artists. Nowadays the most awkward thing for large art fairs is a vague positioning of academy and market. An art fair that keeps pursuing academy without paying attention to the market trend will only make participants bark at the moon and make the organizer do a thankless job; an art fair that keeps pursuing the market but neglects academy will not reach far. 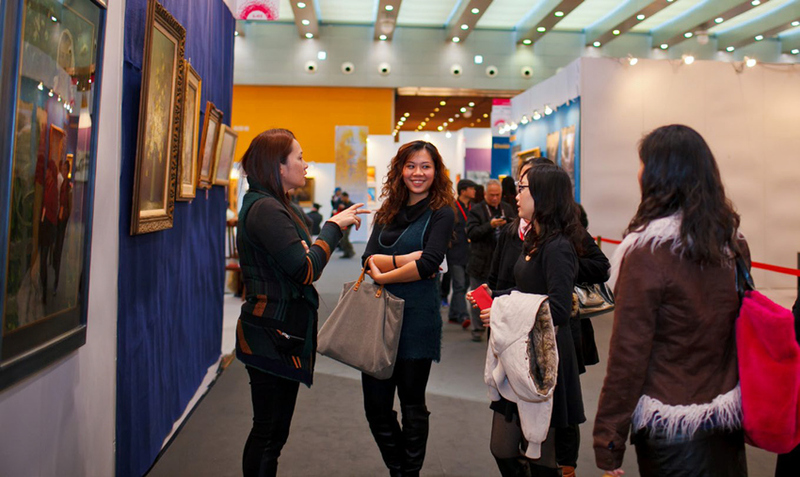 Since 2009, Guangzhou International Art Fair has taken “Academy Orientation and Market Guide” as its foothold and development direction. The fact proves that it’s very correct for us to start from this point and gear to the benign cycle of the contemporary artistic ecology. Q2: Currently under the vague positioning of academy and market, what value do you think is unique to large art fairs? A: The greatest value of a large art fair is to promote the return of aesthetics and cultivate more art lovers and collectors. Different from the consumption of material products, the consumption of artworks is spiritual. The art market comprises professional collectors and the general public. The art consumption market needs time to grow and develop. The immaturity of Chinese art market is usually reflected in the weakness and absence of collectors, which will lead to a weak purchasing power and a lack of appreciation level and artistic accomplishment. Since artistic quality is absent in collectors, awkwardness and pity usually happens when they face artworks with a truly high quality and academic level. If these factors are not reconciled well in the event, the collectors and the artworks will not keep in pace with each other. Therefore, the event is an art trading platform as well as a platform of communication and education for the public and society. Q3: In your opinion, what a role is played by a large art fair for academy and market? A: An art fair is a “touchstone” for artistic institutions and artists, which connects the arts and the life and find an balance point of co-existence and inter-dependence for the academy and market of arts. In addition, the probability and effectiveness of a marriage between academy and market has become a focus of attention from the public. The development of Chinese contemporary arts in the 1990s is different from that of Chinese avant-garde arts in the 1980s. From the very beginning, it has been closely combined with the market, whether it is new generation arts, post-89 arts and political pop, or new literati painting or urban ink and wash; whether it is conceptual art, behavioral art, or video art or new media art, or the currently prevailing phenomenon of crossover arts. Q4: For art creators, is it also very important to insist on an balance between academy and market? How do you view it? A: Those artists who become famous when they are alive all understand how to walk with two feet and control the balance between academy and market. In the past, many “artists with a spirit of independence” had been exploring the academy for their whole life. However, the times have changed. An indulgence in the pursuit of so-called academy will usually come to a premature end. Even if great artists in the Renaissance Period, like Michelangelo, would have also said that poverty had impeded their talent. There are more examples such as Rembrandt, Rubens, Van Dyck, not to say the contemporary and modern artists such as Picasso and Andy Warhol, these great artists all understood how to balance the academy and market very well. Spoken from Maslow’s need hierarchy theory, solving the basic living conditions is the No. 1 pursuit of all people. This concept also indicates that only after the basic living conditions and even a carefree life are guaranteed can art creators devote wholeheartedly to their creation. In addition, by carrying the academic issues to the market, the market can be taken as an important standard for testing the quality and academic level of arts. 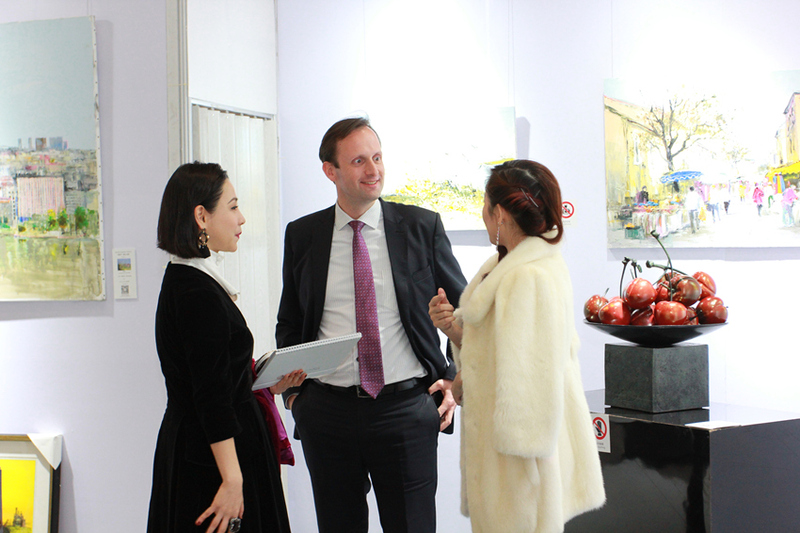 If we could correctly understand the academic role of art fairs, it will make the art fairs develop normally, and also help gradually solve the contradiction between the art market and art creation and bring the whole art market into a normalized development. 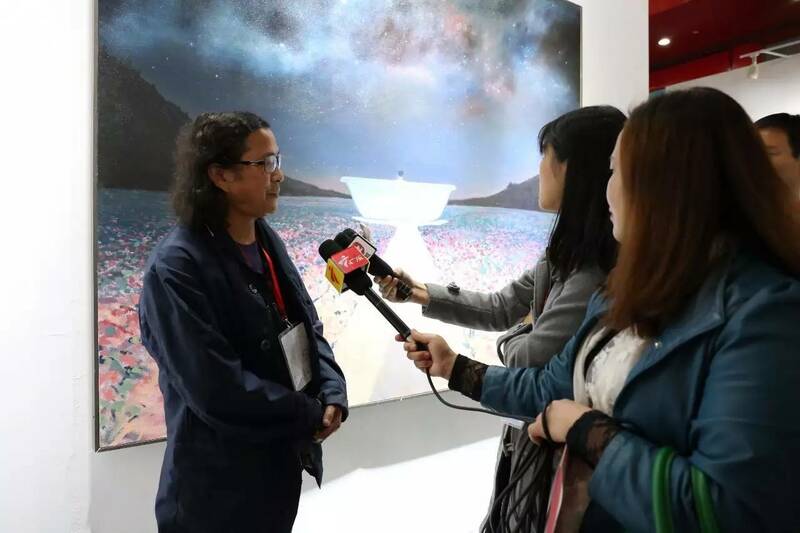 Q5: As a senior industrial insider, why do you persist in proving yourself with sales volume of artworks when you are working for Guangzhou International Art Fair? A: An art fair, after all, is focused on the realization of transactions. As a commercialized platform, its value will finally depend on the transactions reached on it. If the art fair did not solve the market access of the participating organizations, it would be doomed to fail in the end. Besides, the art market will change with capital. Good artworks are a perfect presentation of artistic and commercial values. Successful art fairs embody both academic and commercial values. Therefore, an art fair with “a high quality” but “a low turnover”, or vice versa, is not one in the normal sense. Only with a perfect marriage between academy and market can an art fair develop continuously. Q6: Under the context of homogenization of art fairs, how does Guangzhou International Art Fair stand out from the industry? A: In the 11th Kassel Documenta (2002), Okwui Enwezor raised the issue of homogenization. The inundation of biennial exhibitions and homogenization of art fairs were also discussed by everyone. We aim to organize an art fair with a different positioning at home by discovering, raising, studying and finally solving the problems in planning the exhibition. Of course, the uniqueness was not fabricated deliberately. 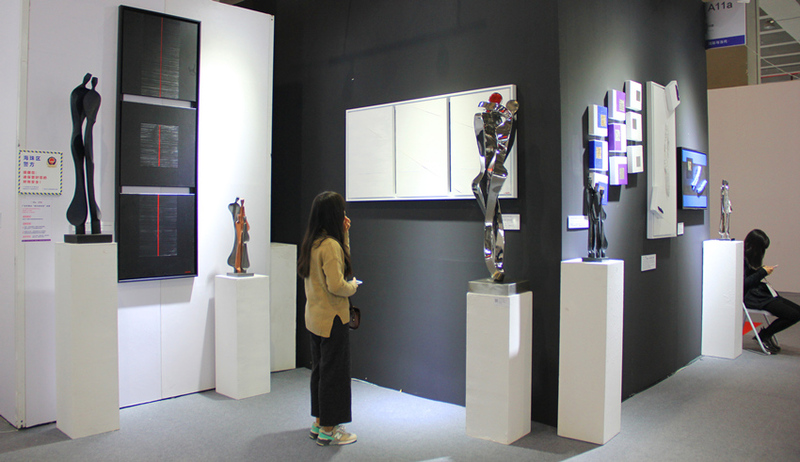 In these two years, Guangzhou International Art Fair has displayed a very good momentum. This year for only one month since it invited exhibitors, more than 70% of the booths have been reserved, and 70% of the previous exhibitors have come back. The return rate of exhibitors represents the comprehensive value of the brand and turnover of the art fair. This success, I think, is related with our integrated positioning all the time, namely, the balance between academy and market. 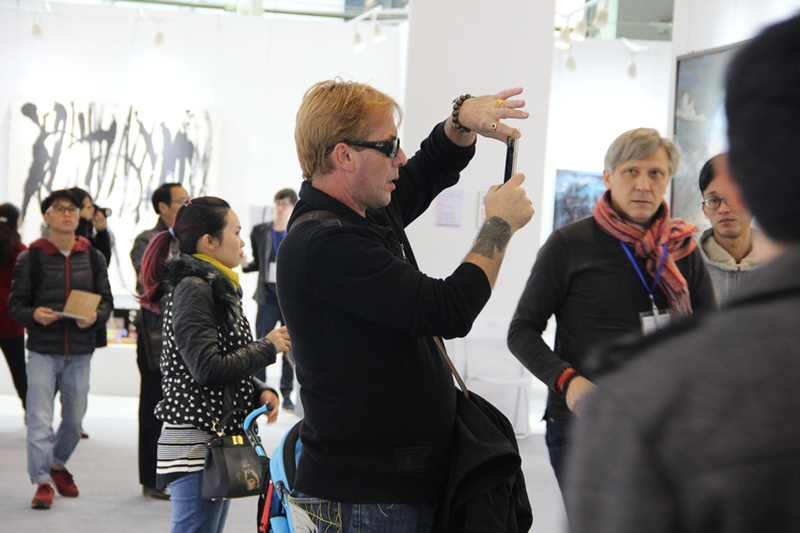 Q7: It’s said that each year Guangzhou International Art Fair is attended by over 250,000 visitors. What is the proportion of buyers among so many visitors? A: Guangzhou International Art Fair supports the trading with a huge number of buyers and adjusts its planning concept and mode in time based on the current status of the market, so as to fully arouse the artistic aesthetics and collection awareness among all people. Through its accumulation of 21 years, the event has accumulated the data of up to 250,000 buyers. All of them had ever bought paintings in the event and left their data. 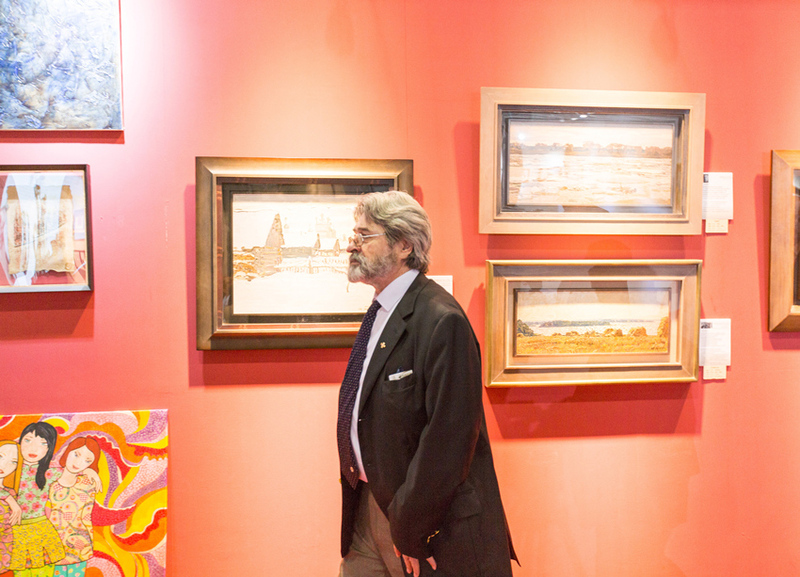 According to our statistics, each year the event is attended by up to 70,000 senior collectors and professional visitors, and the remaining 180,000 visitors are potential art consumers and lovers. Q8: Have you ever considered targeting accurate buyers only? A: Art is vital. It is not products exchanged among the noble or an ornament for the life of the aristocrat. Just as Christian Marcel, a curator of Centre Georges Pompidou, said, “The arts can narrow difference and open mind”. Today’s art lovers will be tomorrow’s art consumers and collectors. At present, more than 90% of Chinese people are in fact blind to beauty, which is horrible for China, a country with rich cultural deposits. It is not only because the public has not cultivated an aesthetic awareness, but also because they are “neglected” by art workers. One of the important responsibilities of all art workers is to cultivate the art market and enhance the aesthetic awareness of the public. Take the art fair as an example, it is a classroom of artistic education for all people with the highest cost performance. Therefore, we should encourage the art lovers to participate in different ways. 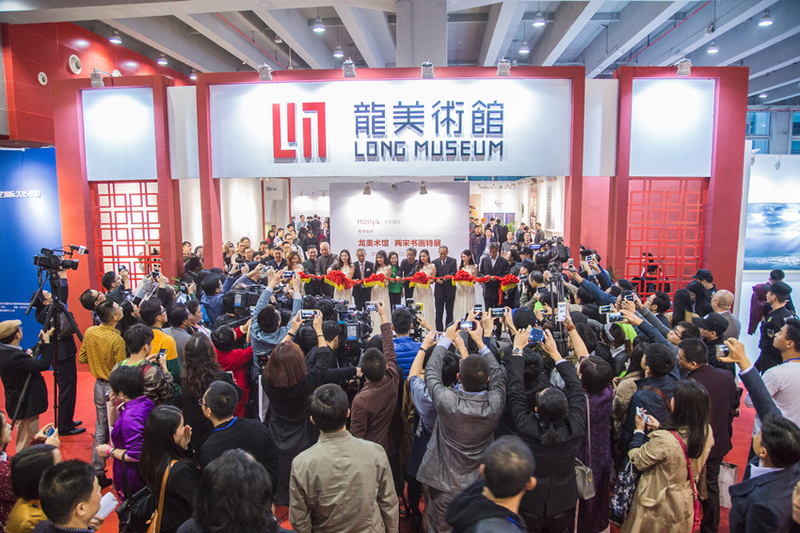 In fact, Guangzhou International Art Fair has taken a route of combining “collection” and “closeness to people”, which has been well recognized by the art circle, particularly, the participating artists and artistic institutions. 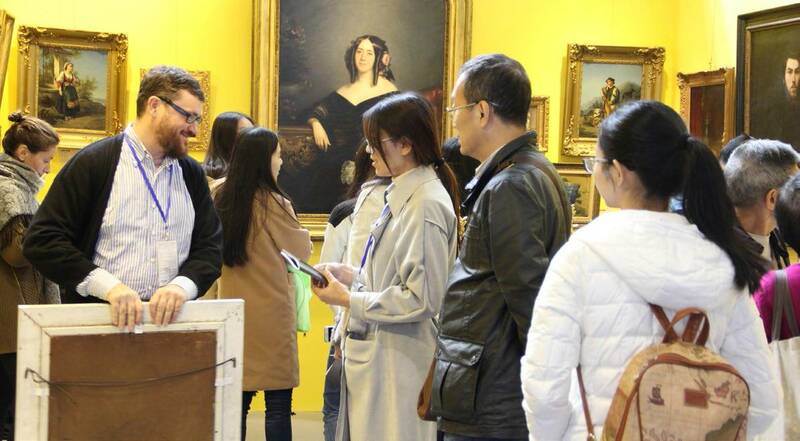 At the site of Guangzhou International Art Fair, we have seen many old friends, who came only to take a look at first, and then exchanged and interacted with the exhibitors, and finally carried artworks back home. There are many cases of this kind. Seeing such a phenomenon, we feel a strong sense of delight and achievement. Q9: Now some art fairs claim themselves as contemporary, and even take it as an excuse to attack the traditional arts and boost their own prestige. As a curator and an artist, how do you think of this phenomenon? A: I believe that there is neither any conflict nor any watershed between contemporary arts and traditional arts. They are inter-dependent. 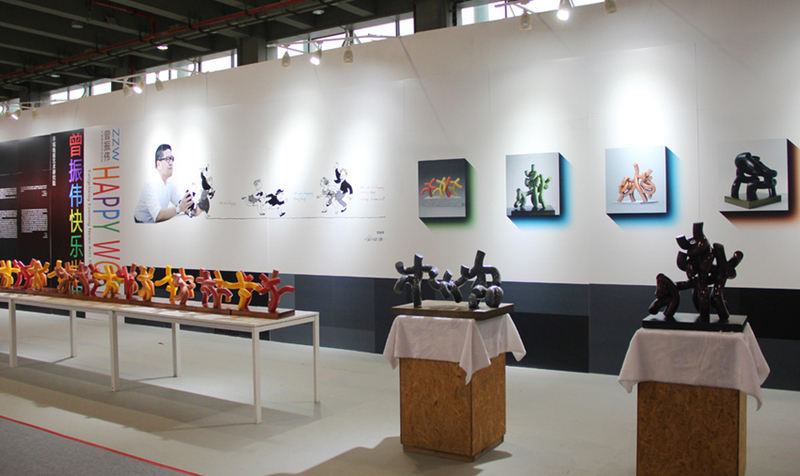 Guangzhou International Art Fair has always advocated respecting traditional arts and promoted the development of contemporary arts. Arts cannot be rated as good or bad, traditional or contemporary. Among the collectors I know, quite many not only like collecting traditional Chinese paintings, but also favor potential contemporary artworks. For example, one of my friends, when decorating a villa, he spent 40 million Yuan in collecting some contemporary artworks with potential into the contemporary design space, and when decorating a house with antique flavor, he chose traditional calligraphy and paintings. For him, traditional and contemporary arts are not judged by lowliness or nobleness, but by preference and suitability. In fact, in an art fair, the massive number of buyers and organization of the participants will finally determine whether the exhibitors will gain or not in the event. And whether the exhibitors gain or not directly reflects the effectiveness of an art fair. Q10: It’s said that since 2015 Guangzhou International Art Fair has begun to set three theme exhibition halls. Such a form of exhibition has been carried forward to date. What advantages does such a form of exhibition have? A: By setting three theme exhibition halls, “International Hall”, “Classic Hall” and “Collection Hall”, it can present the artistic ecology from multiple dimensions. The three exhibition halls are like a polygon prism, which can gather up the high net worth groups with different preferences in collection and arts. They will influence each other and build a more comprehensive structure of their artistic assets. For the common art consumers, the aesthetic space of life is comfortable or not, exists or not. Q11: What are the key factors to determine the effectiveness of an art fair? A: In fact in a successful art fair, many factors have to be considered and balanced. First, the organization and structure of categories of arts determine the comprehensive level of buyers of the art fair. Second, development and invitation of accurate buyers. The organization level of buyers is directly related to the survival of an art fair. 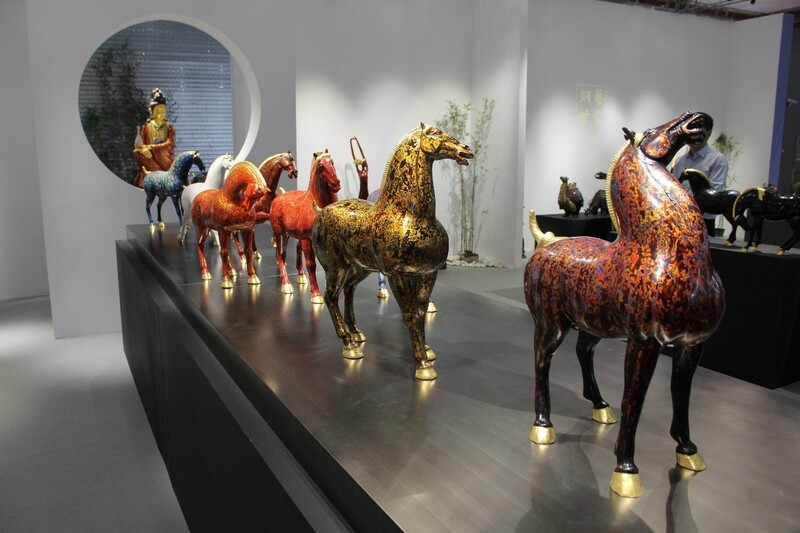 The return rate of old customers in the 22nd Guangzhou International Art Fair was higher than 70%. Why do old customers stay with us? The answer lies in the market and services. Thirdly, collection and influence of the data of potential buyers. 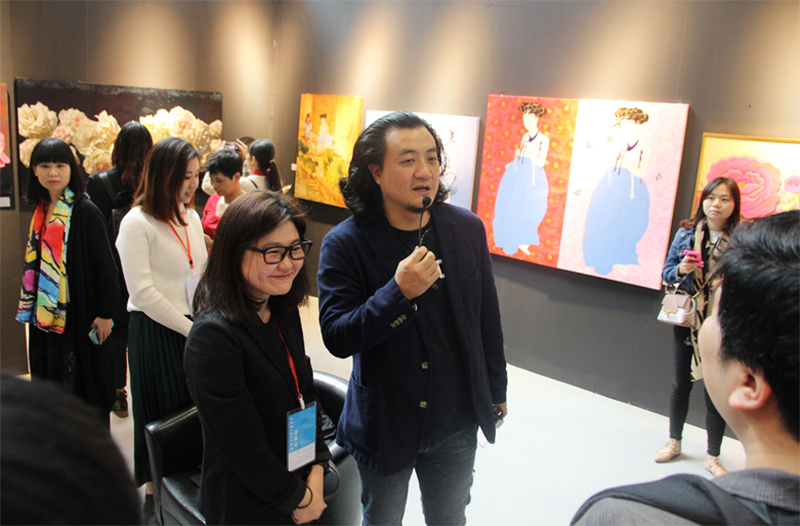 Each year, Guangzhou International Art Fair will hold several art sharing sessions similar to private banking VIP of Bank of China each year. 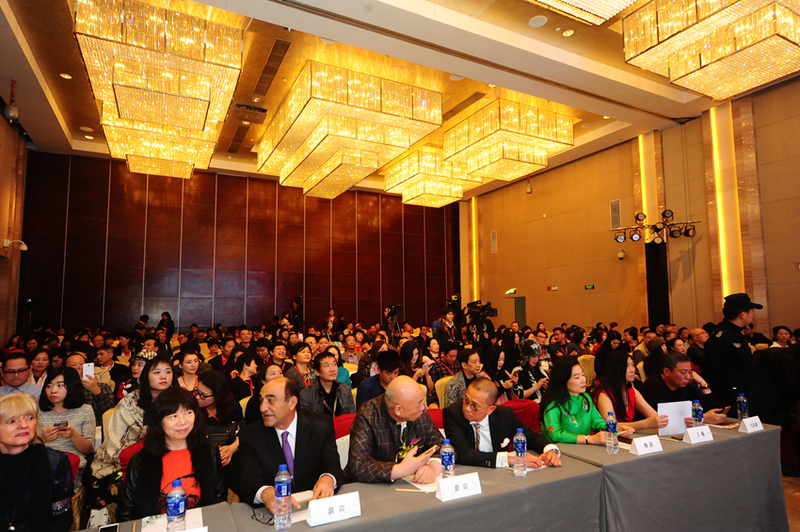 These sharing sessions will reach the elites with an annual income of above 10 million yuan, narrate the associations between arts and the education of their children, family inheritance and life quality in a simple way and gradually enhance their interest in arts. Of course, the arts do not exist in the palace and cannot be self-admired. A normal art market needs the participation and consumption of the public. Fourthly, publicity and promotion by all forms of media. Fifthly, the curator’s keenness and comprehensive level with the academy and market of arts. The curator should be responsible for maximizing the benefits of an exhibition. Therefore, he must have a keen smell of the market and a strong academic foundation. He needs to make a full consideration of how to expand the influence of the exhibition, how to enhance the popularity of the exhibitors and artists, how to make the audience understand the arts and how to realize transactions, and so on. A curator plays different roles and plays an irreplaceable role in areas such as organization, theme, design, arrangement, guide and public promotion and maintenance. Of course, the standard for us to test the result of an exhibition is the data. In each art fair, the transaction data speaks louder than any other factors.